After I had finished cutting all my Hexagons for my Best Friends Forever Quilt I had a pile of 1.5" squares sitting there for this project but instead of bagging them up for another day I decided to start piecing. I am lucky that my stitching isn't too tight so I can cut the panels to size and piece before I stitch. 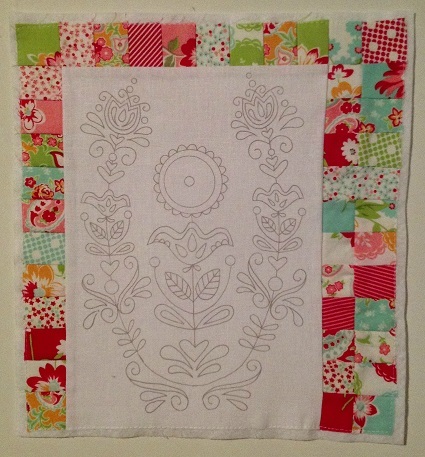 This project is also likely to be one of my "rotating" (because I am getting a few now) Wall Quilts. As such it (most likely) wont have wadding/batting, just the parlan so if I piece it now all the panel has the parlan and will finish at the same thickness. and to think these are my "scraps" from my Best Friends Forever BOM. 4 - 6 Skeins of thread for these two blocks - that's a LOT of thread! I am already on my second skein of thread and I'm not half way though Block 1 yet. This is going to be another beautiful quilt. Your satin stitches look amazing Sharon. Do you think all that stitching will slow you down? It looks like a great "long term project". 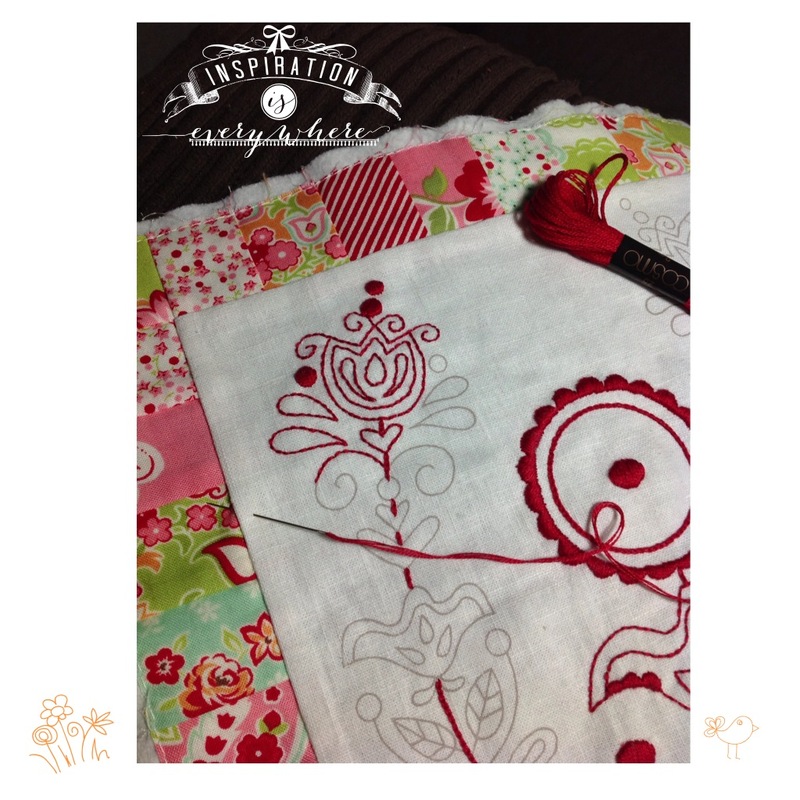 Wonderful Sharon, you certainly are an inspiration, I love every new project you reveal!! I can't wait to see this when its finished. 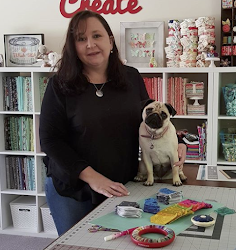 I have really enjoyed browsing around your blog, and I hope you will forgive me when I drool on your creations..
its looking beautiful already Sharon, the fabric is my favourite also. Great use of scraps and very lovely stitching. 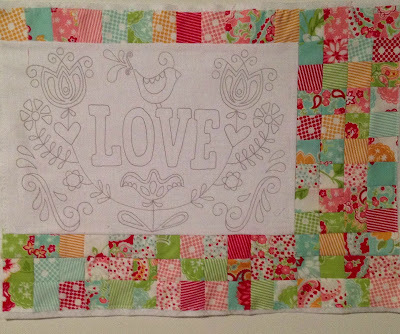 A beautiful new project Sharon, I love the Scandinavian design, and being able to use scraps is a bonus. Your stitches are perfect! It is going to be beautiful! 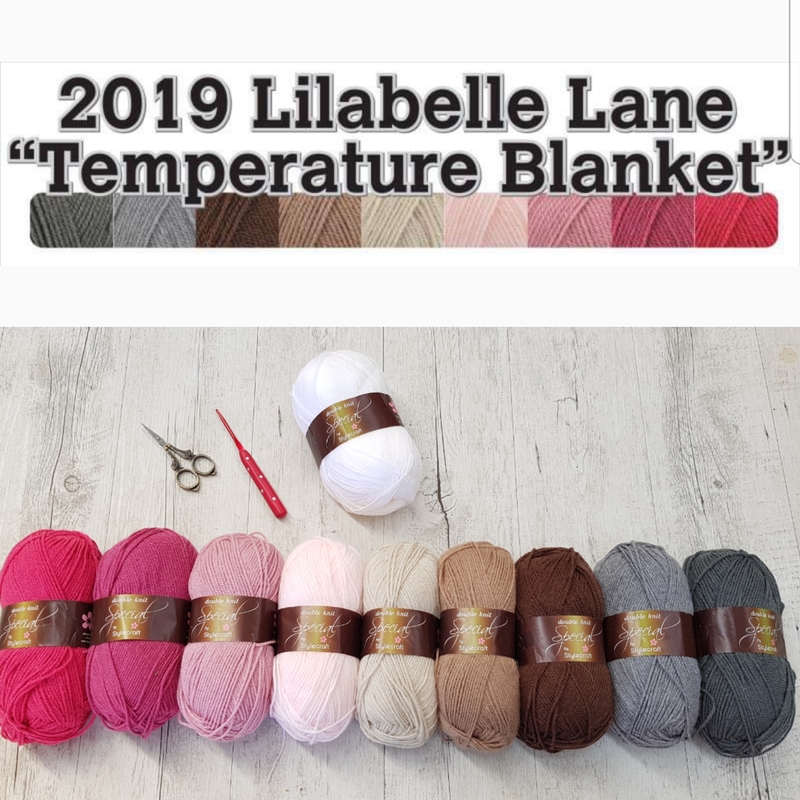 Wow, that certainly is a lot of skeins, but I'm sure that the finish is well worth it. Sharon that is beautiful! The fabric you chose will be perfect. just beautiful. love your fabric choice. I am soooo jealous, they look beautiful. I can't wait to be able start on mine, maybe in October when I have a couple of weeks holiday. I look forward toseeing as they progress :) Barb. Oh love it!! A real beauty.... and love your applique snowmen too - too cute for words!! Oh, I knew it would be stunning, but wow! I just love visiting your blog, there's always something yummy to drool over. OMG! This is already a gorgeous and stunning project. I'll watching and waiting for more.